Sometimes planning a trip to some nearby place can be little boring. What do you think? Well, I experienced this because we just made plans but those plans were just plans, they lacked proper execution. But I always love unplanned journeys. As my Kathmandu trip was fully unplanned one, there’s a lot to explore always. Yeah, there are some limitations and it is wise to plan your trip. 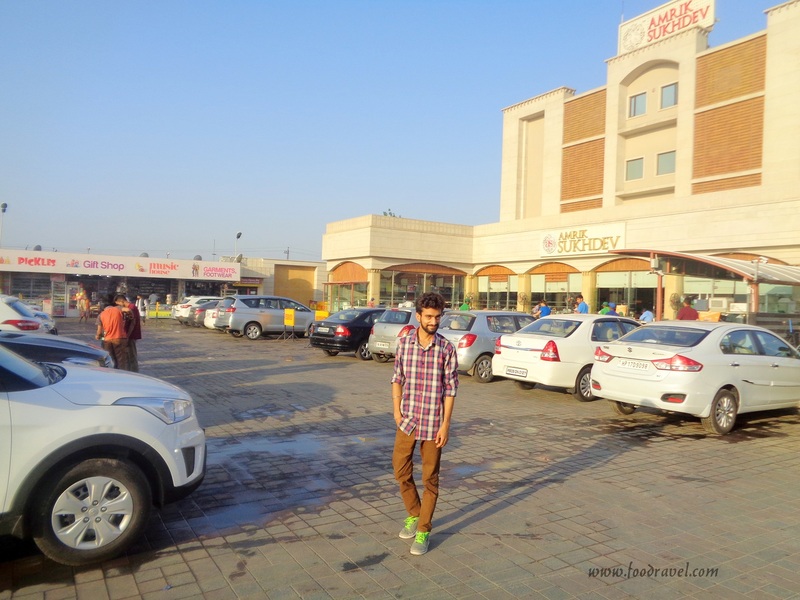 So, I have been planning for visiting Amrik Sukhdev Dhaba for a long time. I haven’t been there. I visited the old streets of Chandani Chauk, the Paranthe Wali Gali which is considered to the heaven for parantha lovers, but Amrik Sukhdev Dhaba was still pending. They say if you are parantha lover, these two places are your favorite and a regular destination. Last Sunday I was with my friend’s at Rajouri Garden. We kept on talking for long. I usually go there during weekends. The clock showed 4AM of morning and we all of sudden made plan to visit Murthal to enjoy parantha. 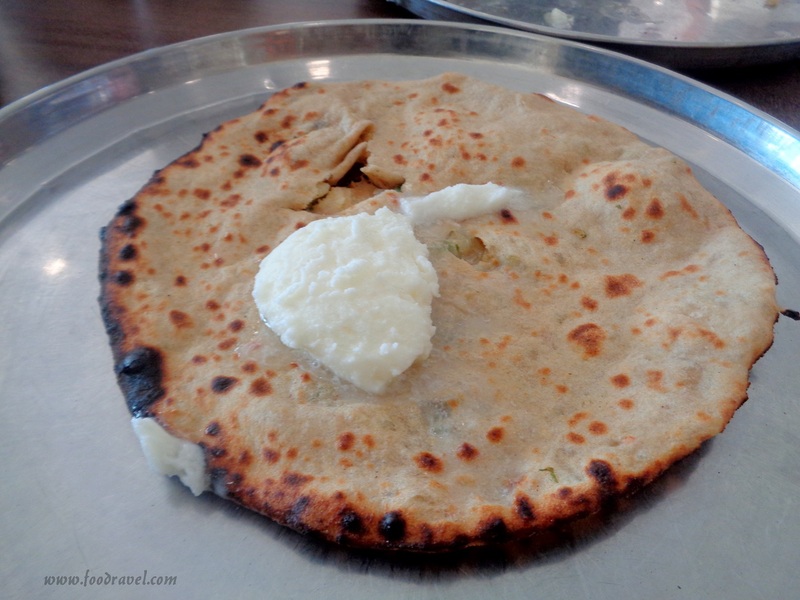 Amrik Sukhdev Dhaba is considered to be the top most priority of all parantha lovers. This wasn’t the first time that we decided to go, but every time we had to cancel our trip due to some reasons. But this time, we were all confirmed that we would go. 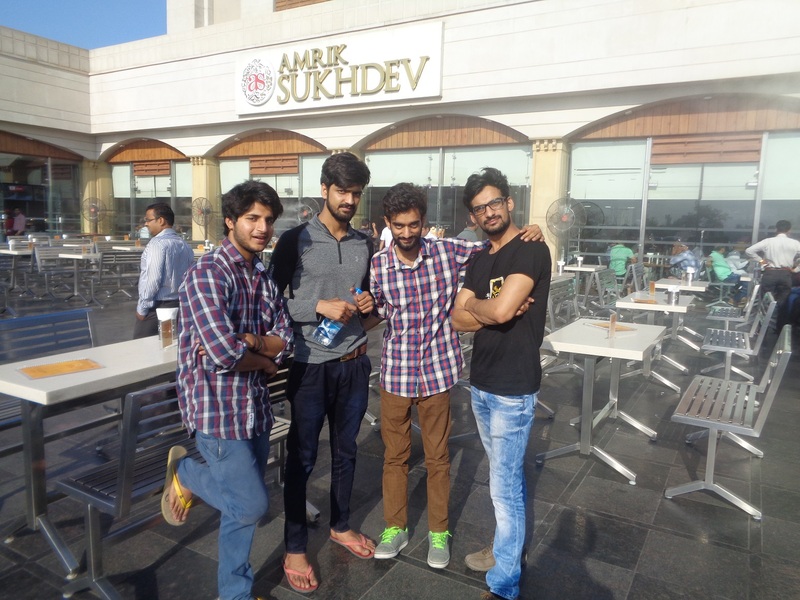 So, we got ready for an early morning trip to Amrik Sukhdev Dhaba Murthal. Bhupender called his friend Shivam as he has a car. Shivam reached within fifteen minutes and we went out to start our journey to this dhaba. We started our journey at 4:50AM and reached there in just one and half hour. Benefit of travelling early morning is that you will not have to spend too much time in traffic. But this time, we had to face little trouble due to traffic problems. We took a different road ( I am not good at navigation, especially in Delhi). 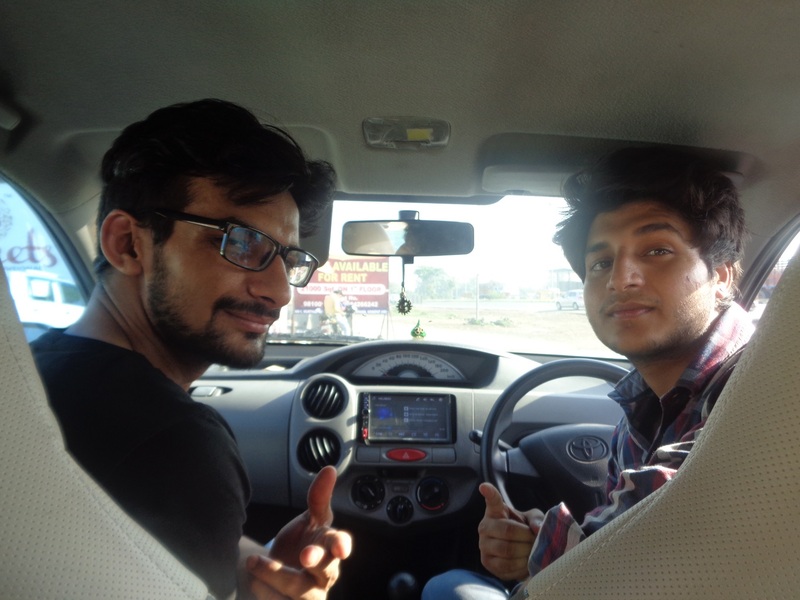 While on the way to Murthal, we enjoyed a lot. I didn’t sleep for whole the night thus, I slept for some time. When we reached there, we parked our car. We stood outside for a while. I needed to feel refreshed so I and Tanuj went to wash off our faces. This was a huge restaurant, and I mean real huge. It changed my perception of dhaba. It wasn’t dhaba from any look. It looked like a good big restaurant, full of people and hustle bustle. It started to get crowded at this time of early morning. We saw a group of six people on Harley Davidson bike that was really thrilling. People of all ages, couples, married, families, friends everyone were there. People had to wait for vacant seats. 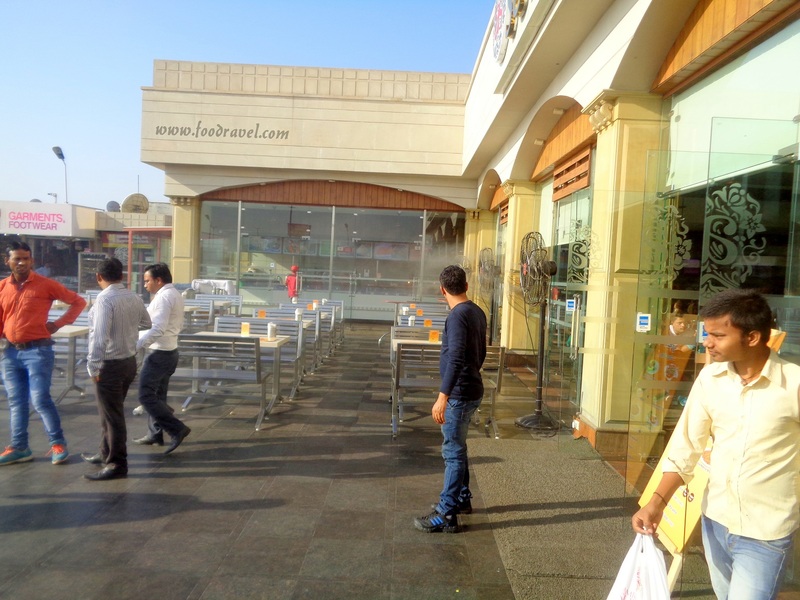 People love this place and as it is near to Delhi NCR, people visit there very often. 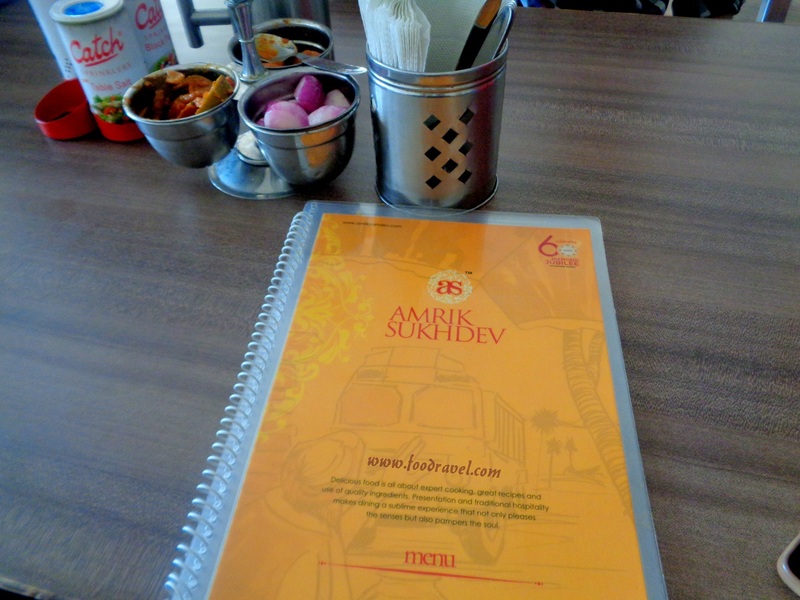 It is just less than two hours distance from Delhi so it has become a good choice for foodies. We got our seats and waited for the waiter to come. We had to wait for a while and then the waiter came. He noted down our order and left. Our order was served in around 20 minutes. We were five. So we ordered four aloo pyaz parantha, one paneer parantha. The waiter came with a big plate. Four paranthas with a big sized pyramid shaped butter on it. There was so much butter that it started to ooze out from the parantha and started to spread out in the plate. I took a spoon and ate the extra butter out of it. 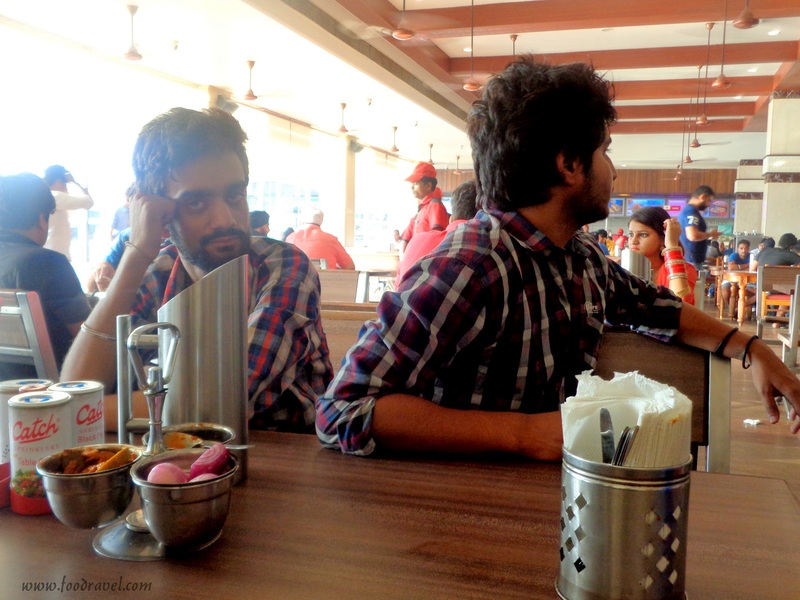 We ordered tawa parantha but we were told that tawa parantha wasn’t available at that time. Thus we had to order tandoori parantha. Honestly speaking, I didn’t feel anything unique in the paranthas. They were average. 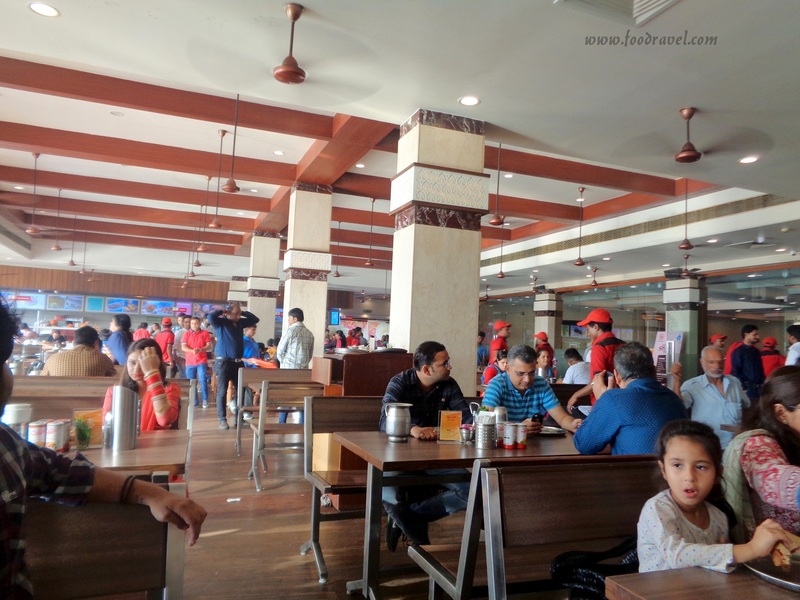 This place just gained a great fame in the area as it is in operation since long. This restaurant is around 60 years old. We also ordered two bowl of mixed rayata. The taste of parantha was okay. I won’t say it was the best parantha or it had a unique taste. The unique thing was the big ball of butter on it. Bhupender said that it wasn’t the real original butter which we used to have in our homes. We all had two paranthas. After finishing our plates, we planned to return to our place. So we went out from there, did some photography and left. We left at around 7:30AM. 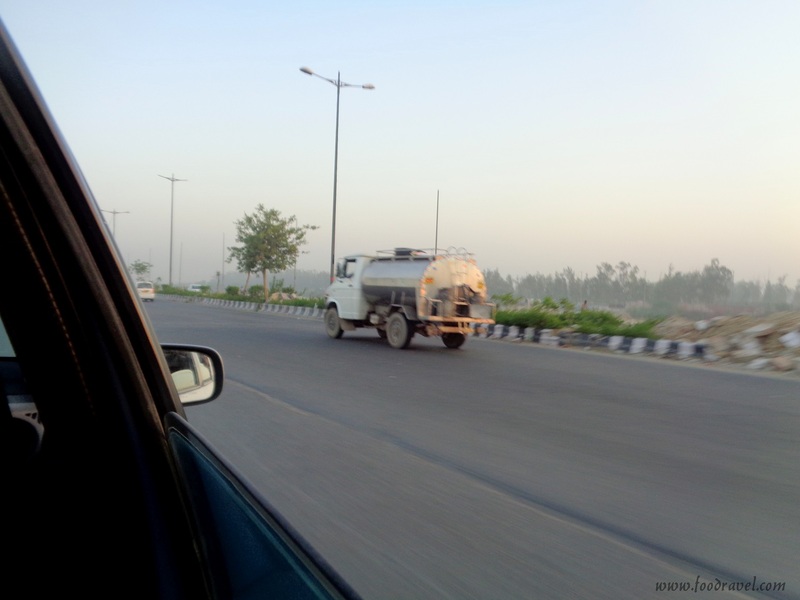 When we entered Delhi, we got stuck in the traffic. The traffic there was very thick, even slower than the snail. We had to suffer a lot in that mess and it consumed around an hour.